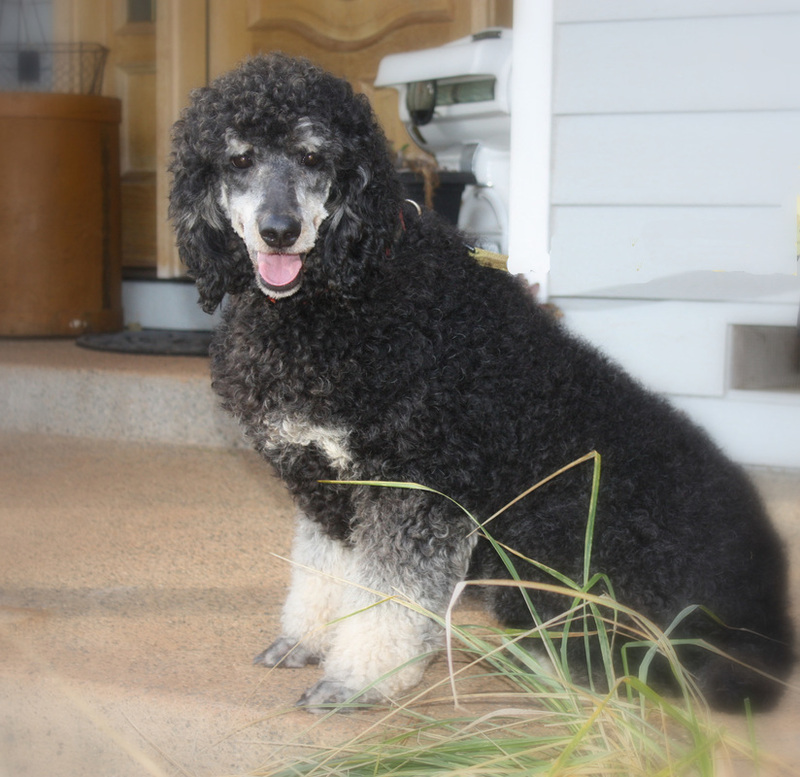 Guarnerius is a blue/apricot phantom standard poodle with red, silver, blue, cream and apricot in her bloodline. She throws beautiful Bernedoodles. She is a mellow girl with a calm, loving disposition. She is the typical sister though, ready to boss her sister, Stradivarius round. She is quick to learn and is a sweet heart through and through. She enjoys retrieving items and a good brushing.